» Since January 2008 I have been running Contour Editions, an online platform dedicated to sound and audiovisual media presenting projects in various formats. 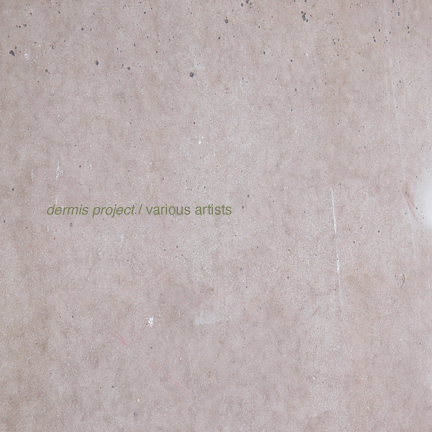 I’m very happy to start this year with Dermis Project, which is 7 hours and 11 minutes of sound material focused on the sonic studio practice of artists making works that are currently in process. These audio files consequently were obscure, unheard of and not accessible by the public at the moment of the project coming together. Dermis Project was put together in November, 2013 for Dominique Balay’s online radio program « websynradio » in Paris, France. The project was based on invitation only and left to be interpreted freely by each artist that accepted the invitation. The guidelines were very basic and all the submissions were included without being changed or reduced to fit the project. With that in mind much of this idea welcomed the rawness and characteristics of each file, hoping that such aspects of the contributions would enrich the dynamics and overall structure of the project. More over, the order of the tracks were determined by the order of submission, and the collection of sounds would operate in similar fashion than a exquisite corpse does. With the generosity of the artists and the permission of Dominique Balay Dermis Project will have a permanent second home and all the playlists are available to listen from the online page. For more details, and to visit the project, just follow the steps below.